The February NPD results are in, and the PlayStation 4 remains on top of the pile for the fourth month in a row, according to the consumer research group. The Xbox One remains the biggest money-maker with the extra $100 price tag, and don't look now, but the Wii U also is chugging right along, all thanks to a giant ape. Overall, the industry grew 9 percent over last's year's February sales by doing a grand total of $887 million in business, a huge leap over the $664 million made in January. Naturally, with the new consoles in full swing, hardware played the biggest role in giving the industry a boost by accounting for $347 million, a 42 percent increase over last February. The Xbox One sold 258,000 units, 90 percent of what the PlayStation 4 sold over the course of the month and even a full 61 percent over the Xbox 360 during its first four months of availability. Speaking of which, the Xbox 360 reclaimed the top of the geriatric pile and managed to sell 114,000 units, "more than any other seventh generation console," as Microsoft put it. The Wii U also showed up relatively strong with 83,000-ish units, a 25 percent increase over the previous year, mostly thanks in part to a big release in Donkey Kong Country: Tropical Freeze. NPD's Liam Callahan praised the hardware performance of all three machines, stating "The majority of hardware platforms experienced double-to-triple digit increases compared to January 2014." On the software front, nothing too out of the ordinary landed in the top ten. Square Enix had a huge month with Final Fantasy making a long overdue return to a best selling list and Thief coming on strong in the fourth place spot. Call of Duty, Grand Theft Auto, Battlefield, Assassin's Creed, and the other usual suspects make up the rest with The LEGO Movie Videogame claiming the second spot. The Xbox One sold 772,000 units of software, and together with the PlayStation 4, the two consoles snagged 48% of all home console software sales. The biggest surprise of the month was Bravely Default, a fledgling JRPG series exclusive to the Nintendo 3DS, which debuted at over 200,000 units and managed to land itself a spot at the bottom of the list with all the big boys. No more kids' table for this fun little game! 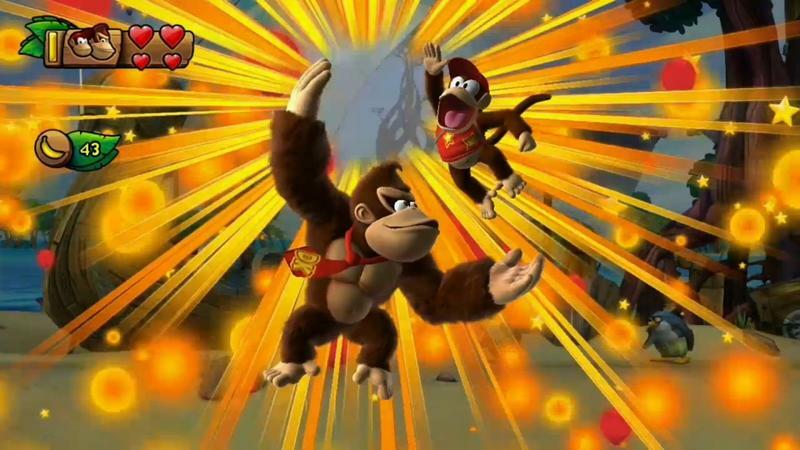 Callahan also gave a special nod to Donkey Kong Country: Tropical Freeze, stating that it was the fourth best-selling SKU of the month at 130,000, but the figure was unable to match those which benefited from a multiplatform release. Darn the bad luck of having to be an exclusive, I suppose. Wii U software sales rocketed to 180% of last year's February. Pokémon X and Y also sold 130,000 together, putting lifetime sales at 3.4 million.